Welcome to Middletown Animal Hospital. Since 1956, we have been providing world-class veterinary care and services to your beloved pets. We proudly offer patients and caregivers a state-of-the-art hospital, complete with ultrasonography, endoscopy, a full in-house laboratory and digital radiography. Please take a moment to get to know what so many have come to discover before you: Middletown Animal Hospial is the premier pet and animal care center for all of your veterinary needs. Thanks for visiting us today. Please take a moment to learn how we help provide you and your pet with a happy, healthy life together. Our goal is to meet and exceed the needs of our patients and clients, improving both the quality and longevity of their lives. We believe in educating our clients and working with them as a team. Our staff strives to be friendly, caring, compassionate, knowledgeable and professional. Our doctors are committed to providing our patients with the highest level of medicine, preventative care, and surgery. 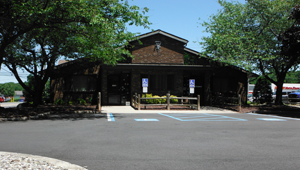 Middletown Animal Hospital is a full-service veterinary medical facility conveniently located on Route 35 South between Harmony Rd. and New Monmouth Rd. Our professional and courteous staff strives to provide the best possible medical care, surgical care and dental care for their highly-valued patients. We are committed to promoting responsible pet ownership, preventative health care and health-related educational opportunities for our clients. Middletown Animal Hospital offers excellence in veterinary care to Middletown, NJ and most of Monmouth County including Keanburgs, Hazlet, Keyport, Holmdel, Red Bank, River Plaza, Leonardo, New Monmouth, Union Beach, Cliffwood Beach, Locust, Navesink, Highlands, Atlantic Highlands, Matawan, and Aberdeen. Please take a moment to contact us today, to learn more about our veterinary practice and to find out more information about how Middletown Animal Hospital can serve the needs of you and your cherished pet.